Where are the World’s Largest Roadside Attractions? 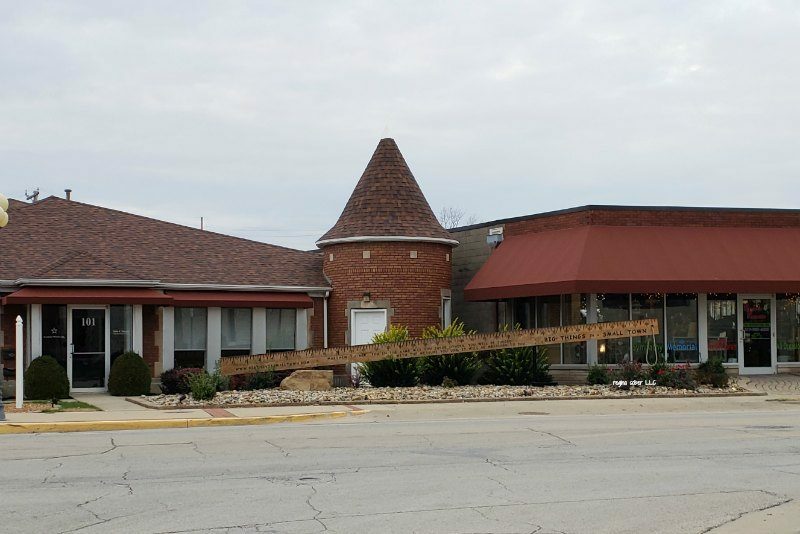 Located in the East Central part of Illinois, you will find the small town of Casey. 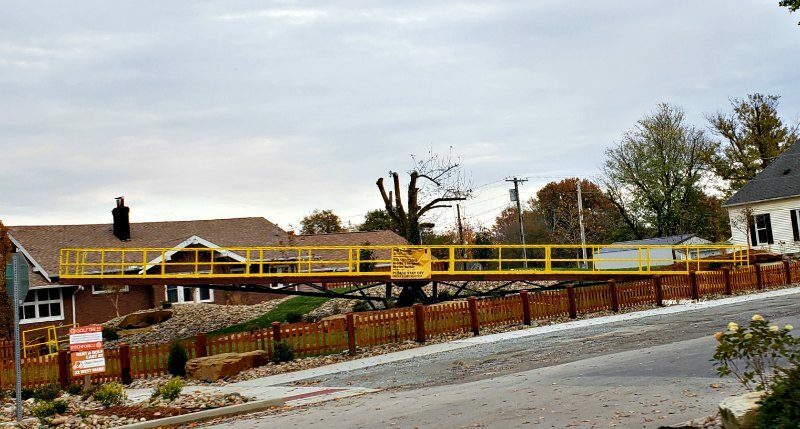 Thanks to Jim Bolin and his company Bolin Enterprises, Inc, he helped put Casey on the map with several World’s Largest Attractions in one city. Eight of them to be exact that are recognized by the Guinness World Records. Hardest part is deciding which World’s Largest Attraction is your favorite. 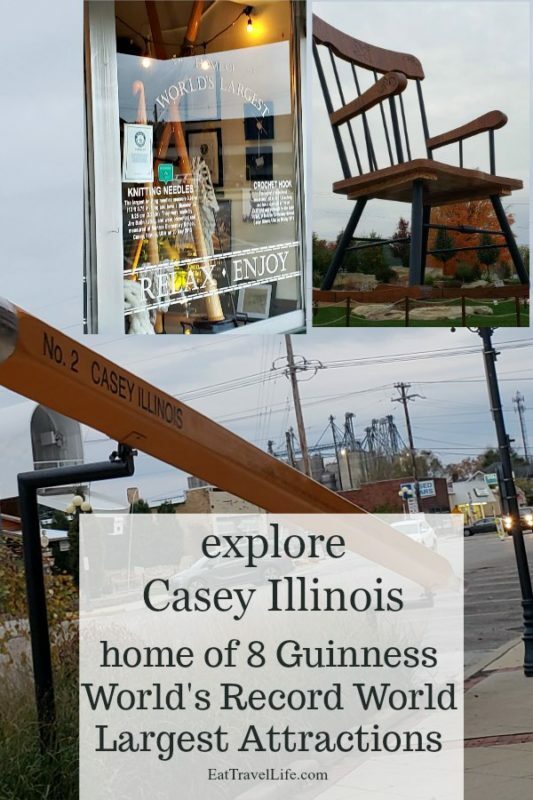 Casey Illinois not only have eight of the world’s largest roadside attraction, there are about 10 other ‘big things’ that are in town too. 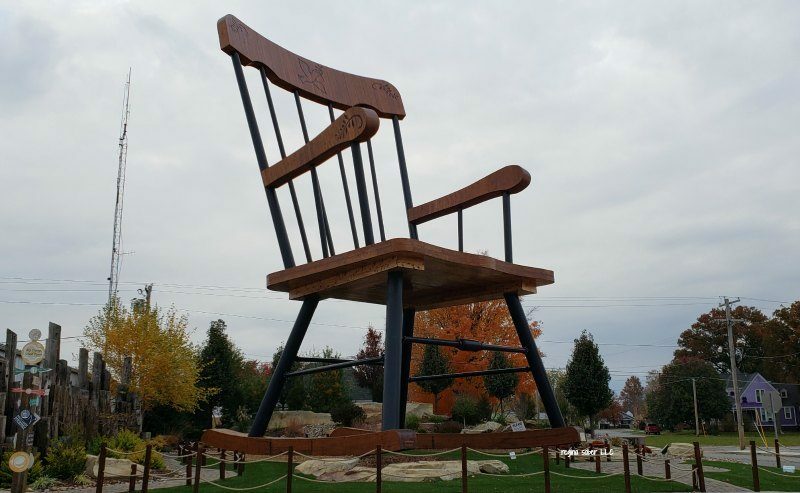 Here in Casey, you can find the Worlds Largest: rocking chair, pitch fork, wind chime, knitting needles, mailbox, wooden shoes, teeter totter and golf tee. 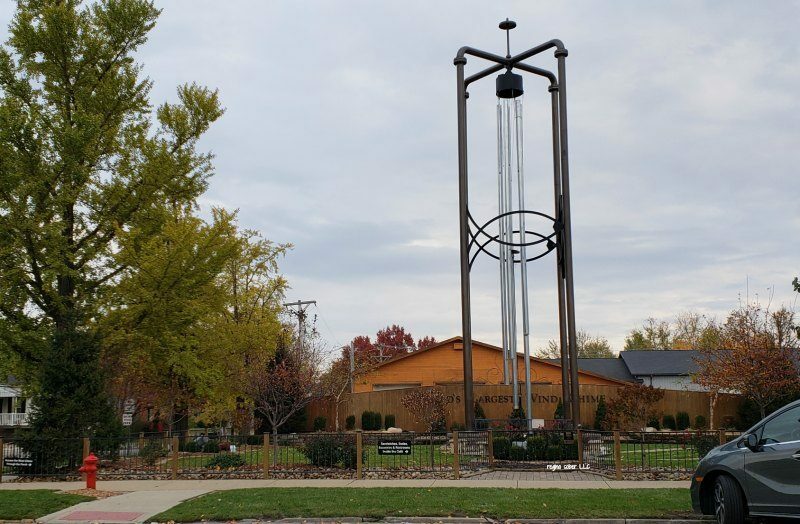 Located before you get into town from Interstate 70, is the big token coin. 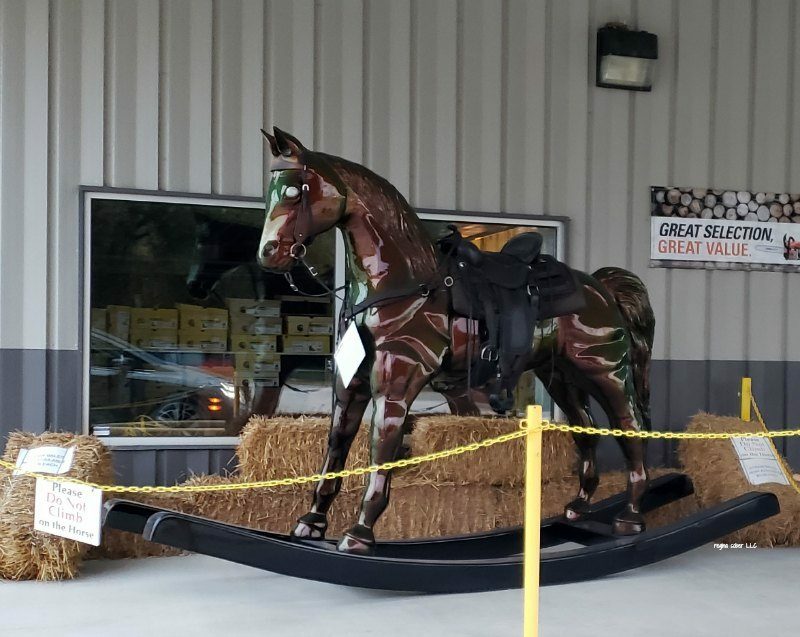 From Interstate 70, you can also find this big rocking horse. 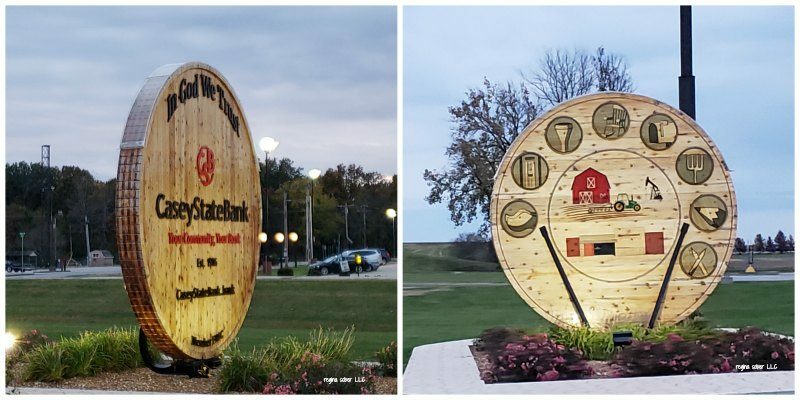 We arrived from Interstate 70 and noticed our first ‘big thing’ the big token coin at the bank on the left. Further down the road on the right was the big rocking horse. 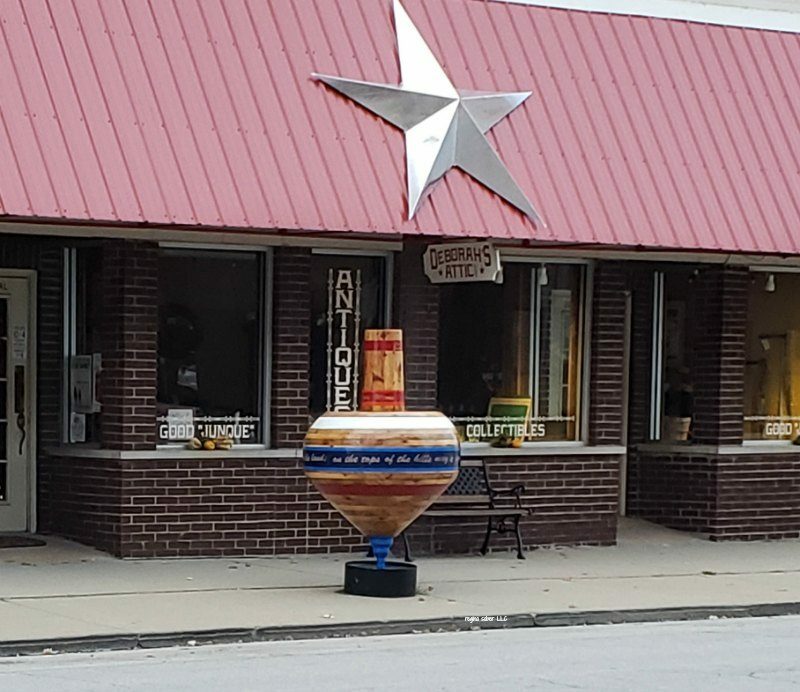 If you head to main street you will find a lot of the World’s Largest Roadside Attractions in that area. 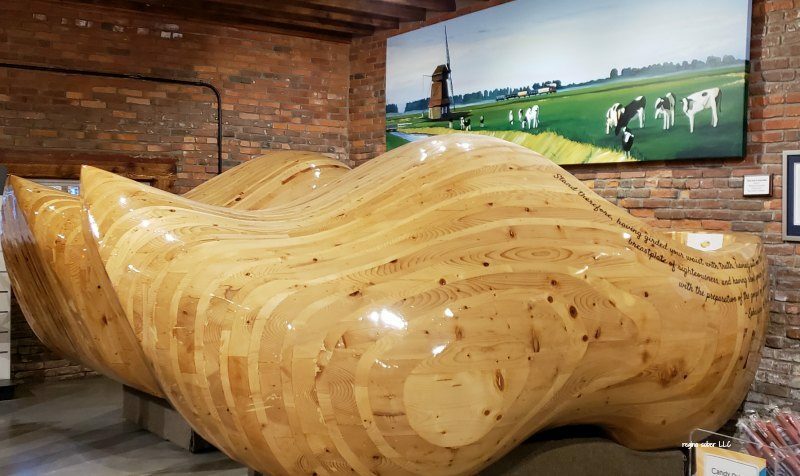 We stopped in to see the largest wooden shoes (dutch shoes, clogs to exact size 161) and got a map and directions on where everything was. Located inside Casey’s Candy Depot are these size 161 clogs. There are many shops located downtown to enjoy. We went quickly through town as everything was closed and it was getting dark fast. It took us around an hour to see all the attractions. Ideally, we would have arrived earlier, shopped and ate in town. 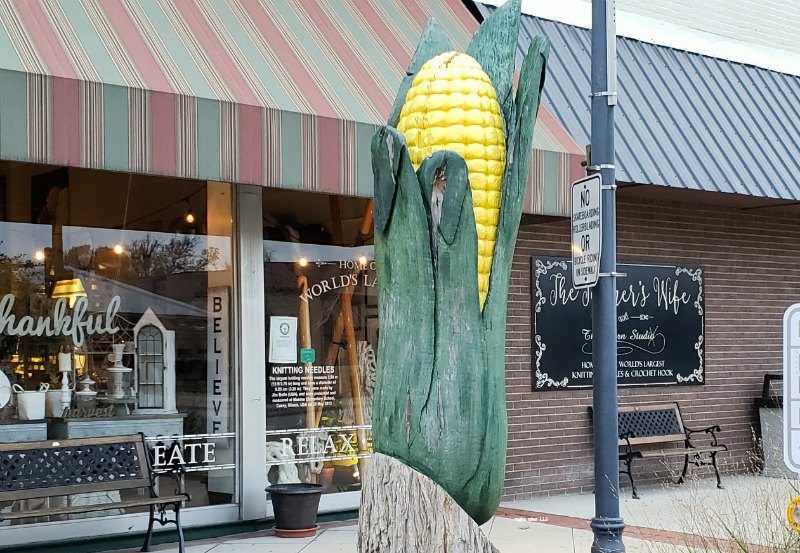 The rocking chair, wind chime and teeter totter are all across the street from each other, making it a great point to stop, shop and check out these attractions. The wind chime has a charming coffee shop attached to it. Bring your friends and come play on the teeter totter. This is across the street from the wind chime. Across the street from the wind chime and teeter totter, you can walk under the largest rocking chair. You will get to explore the downtown area as you walk around to find all these attractions. The corn on the cob is just outside of the World’s Largest Knitting Needles. 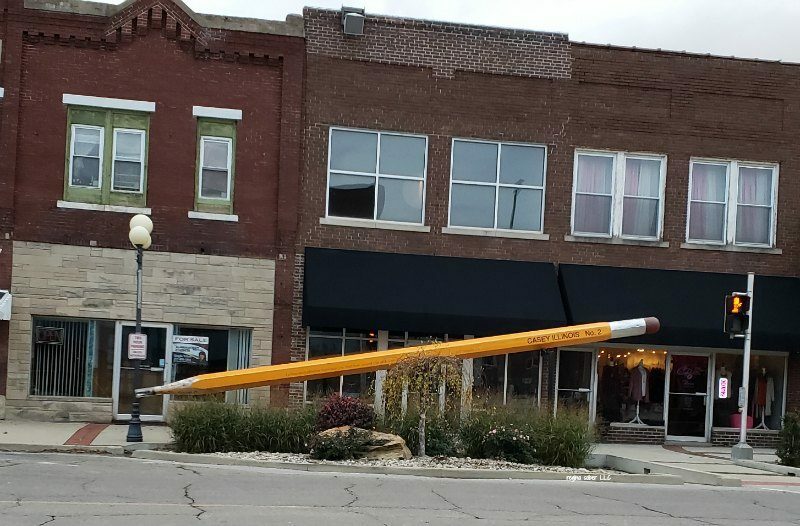 The big pencil is down the street from the mailbox and bird cage. There is also a minion some where downtown that is big outside of a store. 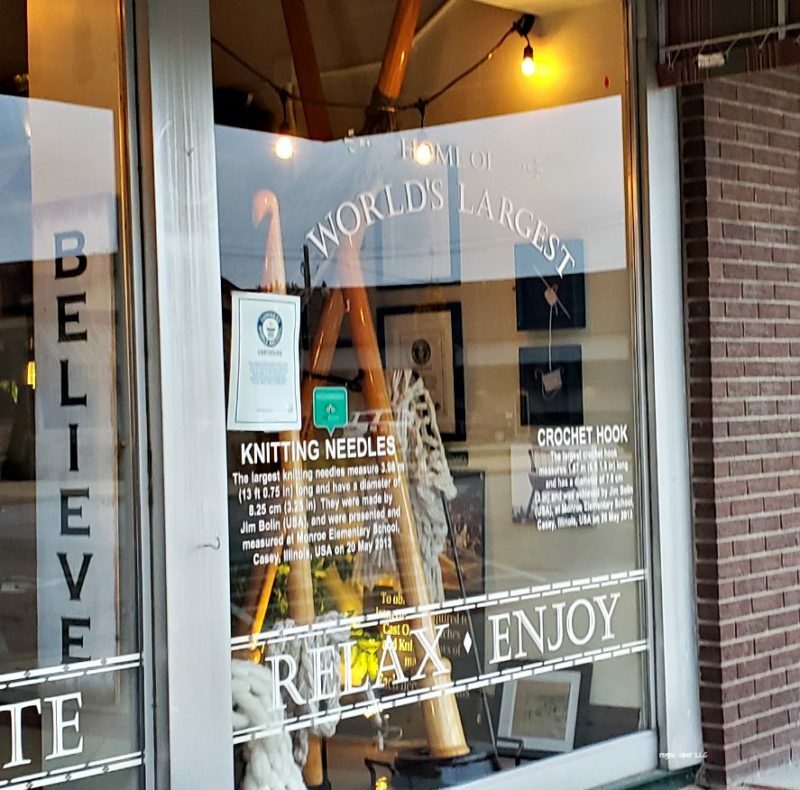 Right in front of the World’s largest knitting needles, sits a big ear of corn. You can climb into this mailbox and see the town. Inside the Yarn Studio, you’ll find the World’s Largest knitting needles. The big yard stick sits facing the road. We were across the street, when we spotted it. We stumbled on the big top while looking for other roadside attractions. 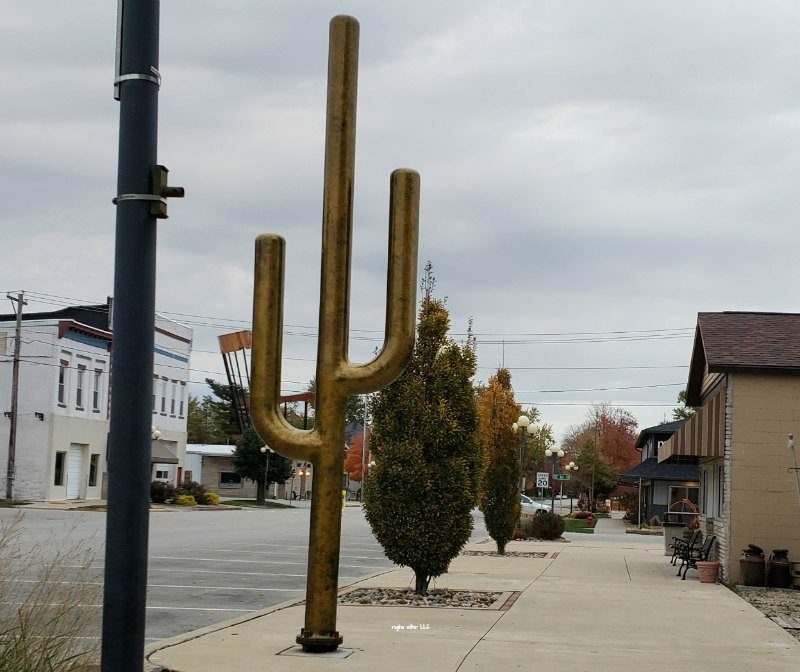 This big cactus is out of place in Illinois. And gold. Just down the road from the rocking chair, wind mill and teeter totter. This is my favorite attraction. 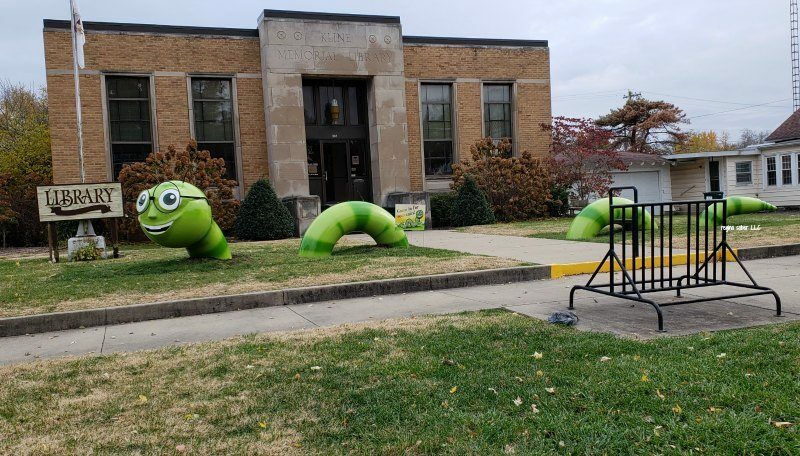 A big bookworm at the library. 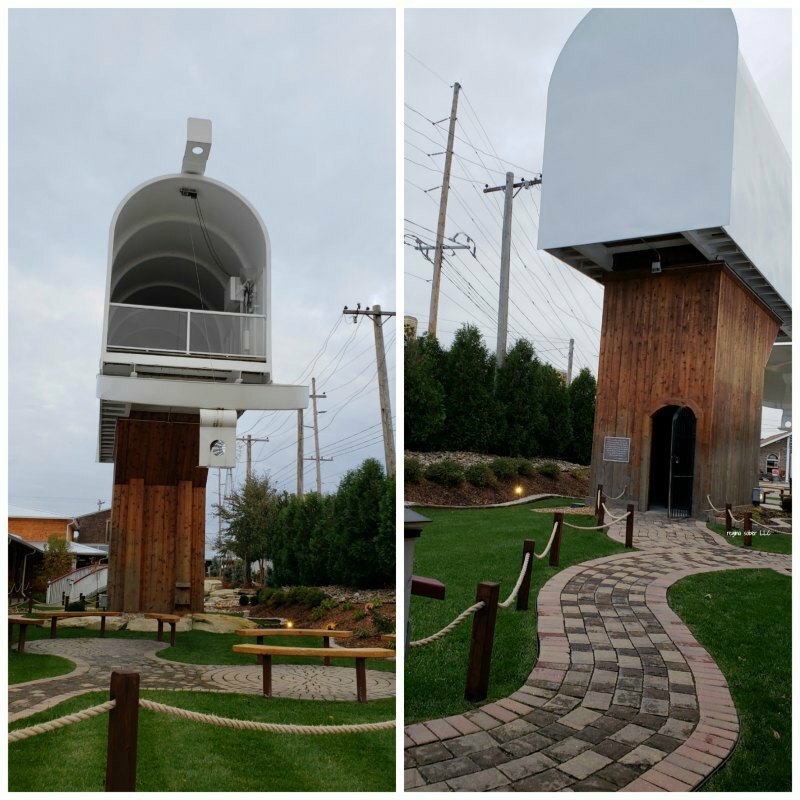 The big bird case is not farm from the World’s largest mail box. 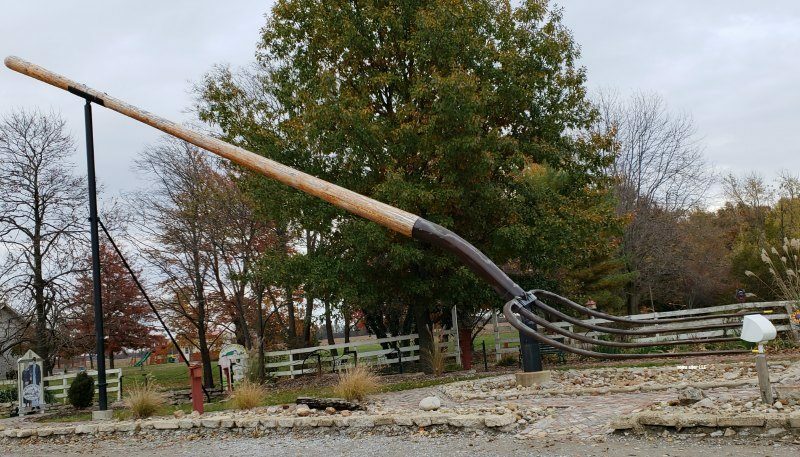 World’s largest pitch fork sits outside of Richards Farm Restaurant weighing 1940 pounds! 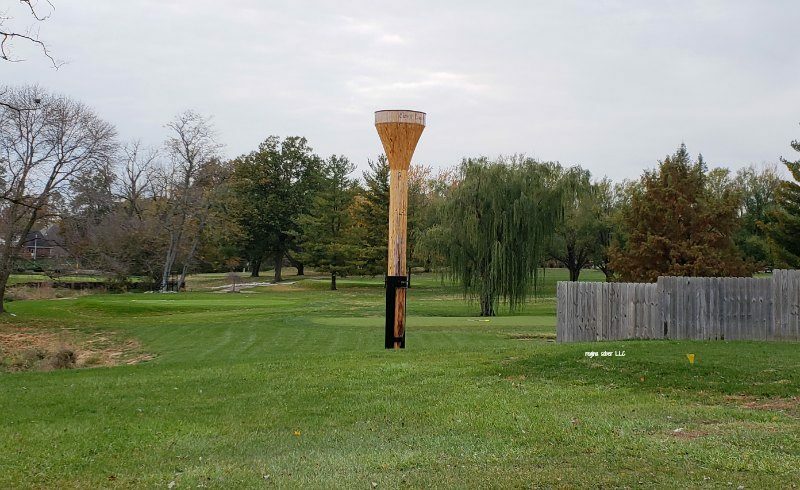 At the Club House at the public golf course outside of downtown, you’ll find this huge golf tee.We had a ball trying to find all the roadside attractions before the sun went down. 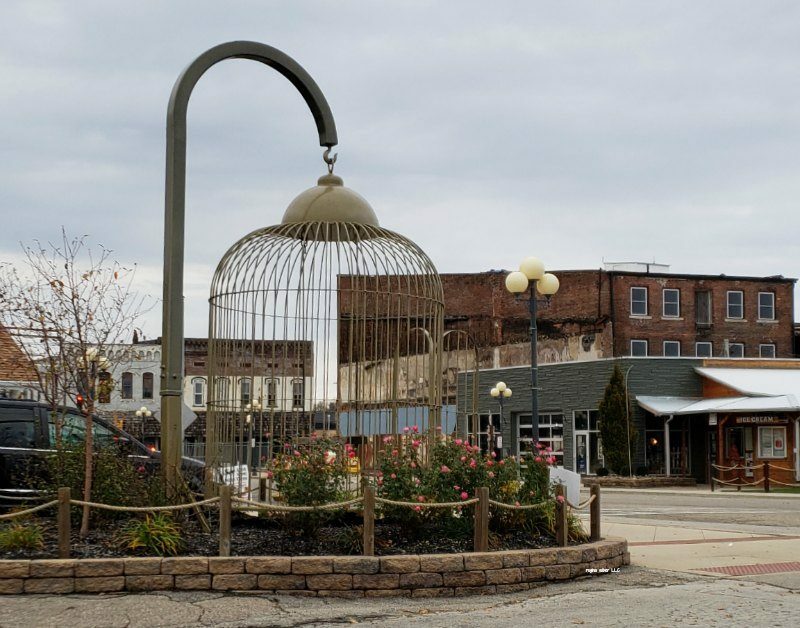 Have you saw these roadside attractions? Which is your favorite?